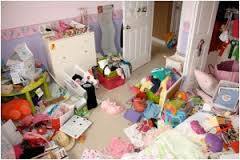 Are you feeling overwhelmed with your unorganized home or office? It’s tough not having enough time or motivation to organize your home or office. Days turn into weeks and weeks turn into months, papers keep piling up, the garage or attic is packed full, your kids rooms are a disaster, your office is a mess… When will it all end? Make your kids, husband, wife, relatives or friends come over and help you for free – Just ignore all the moaning and groaning you will get and you should be fine. But without the essential organizational “systems”, things could go bad. Hire a professional organizer – If you’ve just about had it with your unorganized home or office and you can’t stand even thinking about it… this is your best bet. Not only will a good professional organizer help you create organizational systems, but he/she will make sure those systems work flawlessly with you and your family’s lifestyle. And of course, the professional organizer will work with you and organize everything you’d like without any complaints or moaning! This company is designed to not only help you with your organizational needs but also is here to help you in other parts of your life (services and solutions) to make it easier for you to manage your day to day activities because everything is inter-connected.